Along with planets, every chart has pieces and sections, like an astrological pie. The chart is a 360-degree circle. Every chart has a horizon line that runs from the Ascendant at the left (Eastern horizon) across to the Descendent. And then there’s another line, the meridian that runs from the top of the chart (the Midheaven) to the bottom (the IC or Imedium Coeli). There’s a quirk with the naming that comes with an alert! Up is down and right is left! You could say it’s opposite day when you look at an astrological chart. North is South and East is West. The hemispheres are the opposite of what we’re used to seeing on a map. The southern hemisphere is above the horizon and is the realm of public life and image. The northern hemisphere is below the horizon, is the realm of private, contemplative and self-focused pursuits. If most of your planets, for example, are in the northern hemisphere, you’re likely a self-contained person who prefers to keep a low profile. If you’ve got a packed southern hemisphere, you’re at home on the public stage and are preoccupied with broader social concerns. The next division is the pie split with the meridian line into eastern and western hemispheres. Planets in the eastern hemisphere show self-motivation and what you generate on your own. Planets in the western hemisphere are reactive and interactive with other forces -- individuals, ideas, or the public at large. The four quadrants are a narrative of the journey of the Zodiac. The first quadrant is about identity and the concentration on the Self. The second is centered on the creative imagination, self-expression and healing others. The third quadrant leads us to relationships, and what we learn through others from that mirror. And the fourth quadrant deals in universal themes and is oriented toward human culture or society as a whole. The Ascendant (social mask, the way of being in the world) is at the left of the horizon line and the Descendant (relating to others) is at the right. Planets in the first quadrant act as standalones, initiating actions from a sense of solo identity. Many planets above the horizon make you a highly social creature, while if most are below, you tend to lead a more introspective life. Those with many planets below the horizon live behind a veil so that even if very famous, they manage to live privately. Someone with many planets in the eastern hemisphere (left side) of the chart indicates a go-getter type that blazes a trail. 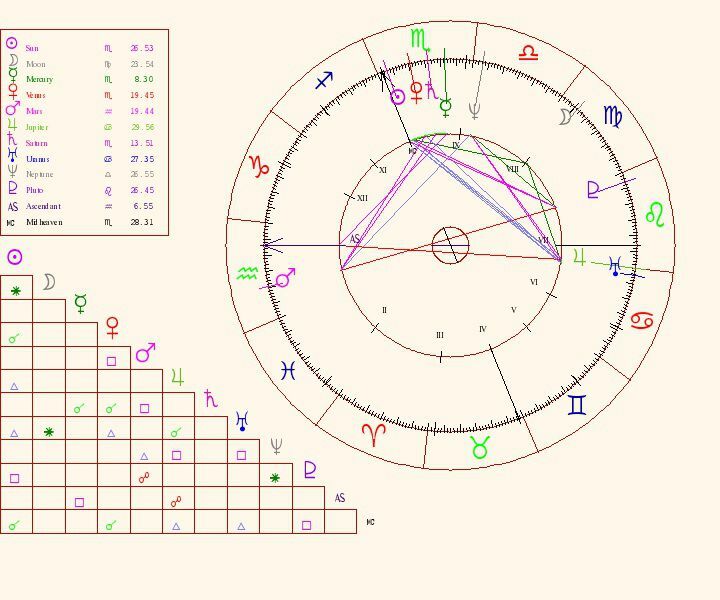 How Do the Motions of the Planets Affect Your Birth Chart?